Searching for a rhinoplasty surgeon can be a bewildering process. With so many surgeons—each possessing differing levels of training and experience—offering cosmetic surgery, many patients don’t know where to start. The key is to know what qualities and certifications to look for, and which questions to ask in your initial consultation. First and foremost, it is very important that your surgeon is board-certified by the American Board of Facial Plastic and Reconstructive Surgery (ABFPRS). Most facial plastic surgeons complete a residency in either otolaryngology-head and neck surgery or plastic surgery, both of which provide extensive training in rhinoplasty and other surgical procedures of the face. Facial plastic surgeons must receive board certification in a specialty approved by the American Board of Medical Specialties (ABMS) or the Royal College of Physicians and Surgeons of Canada. They also must complete an ABFPRS examination, hold approved licensure and agree to the ABFPRS Code of Ethics. In addition, they must show a record of clinical experience that includes no less than 100 facial plastic surgeries. What other qualities should you look for? Your surgeon should have an extensive understanding of both the internal and external nasal structures, and the knowledge necessary to alter both as necessary. He or she should be trained to handle both aesthetic and functional issues, such as breathing problems. The best way to ensure this is, once again, to choose a board-certified facial plastic surgeon. General plastic surgeons have advanced training in breast and body procedures but may not have the same in-depth training in facial plastic surgery. Also make sure that your surgeon has hospital privileges. In order to obtain hospital privileges a surgeon must receive approval from a hospital committee. This committee assesses the surgeon based on his or her education, skills, training and other factors; you can rest assured that a surgeon with hospital privileges has been thoroughly vetted and approved by seasoned medical professionals. Top Doctor honors from medical organizations/publications and other media exposure are also indications of a high-quality facial plastic surgeon. Also be sure that your surgeon performs a high volume of cases; five or more cases per week. Your surgeon should be devoted to patient care and safety. 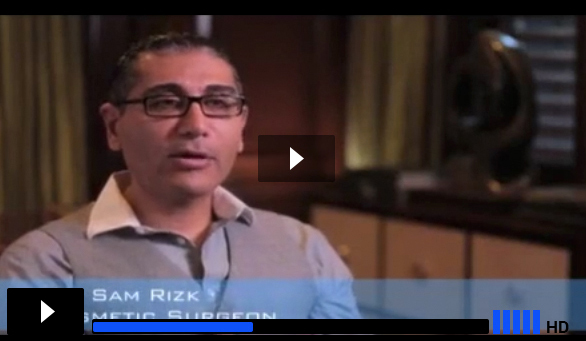 Ask to see patient testimonials and, if possible, speak with other patients who have been treated by your surgeon. You want a surgeon with a high patient satisfaction rate. It is also important that you share your surgeon’s sense of aesthetics. Be sure to view the surgeon’s gallery of before and after photos. Your surgeon should also have a proven track record of positive results, including with complicated cases such as revision rhinoplasty procedures. Also make sure that your surgeon has advanced equipment such as 3D technology, which provides enhanced precision and leads to less downtime. The price of the surgery should not be your primary motivating factor. Instead, focus on the qualities outlined in this section. If you don’t feel comfortable with the surgeon, don’t hesitate to continue looking for a surgeon. Am I a good candidate? Why? How long should my recovery last? Should my rhinoplasty procedure be combined with other procedures such as septoplasty? Am I old enough to have rhinoplasty? Did you complete additional fellowships or any other specialty training? Which local or national medical organizations do you belong to? What is your approach to rhinoplasty? How much time do I need to take off? Can I see before and after photos of your past patients? Ready to start your search? The best place to find a qualified, board-certified facial plastic surgeon is the website of the American Academy of Facial Plastic and Reconstructive Surgery, which has and MD finder.